Thinking positively about something really might make it happen, psychologists say. So, if you’re thinking about committing to the 2015 RESETNATION Challenge, read on! Are you ready to anticipate something good? 1. Think about it. Are you making a change because you want to achieve it for yourself? Or are you making the change because others think you should do it? If you want better health for yourself, a more positive outlook and success that lasts, your changes have to come from you – not from someone else. 2. Decide what you want to improve. It doesn’t have to be about your weight – you might want to detox your body for a few days. Or take up regular exercise. Or, you may have more than one goal in mind. Whatever you’re aiming for, write down your goals on sticky notes and place them around your home. Look at them regularly and think about how you’ll feel when you achieve them. 3. Make the commitment(s). Understand that a commitment takes dedication and work. Be prepared to put in the effort – you really are worth it! 4. Break up your goals into smaller goals. Rather than making one HUGE goal, break them down into smaller, more achievable goals – you’re more likely to stick with your new lifestyle changes if you can reach little goals along the way to keep you on track. 5. Remind yourself that there are no quick fixes. Make sure your expectations and goals are realistic – if you think about it, it probably took months or even years for the excess weight to pile on, so it’s only natural for it to take time to shift. 6. Mark your progress. A Journey Diary is an excellent way to chart your progress, food intake, your feelings and your success. Try taking a weekly photograph of yourself and weigh yourself just once a week. 7. Reward yourself. Life should be about celebration so when you get to your mini goals, allow yourself to feel the satisfaction. 8. Expect hurdles. There are going to be some ups and downs – after all, you’re only human! The most important thing is to see the bigger picture – the picture of better health. 9. Don’t expect motivation to be high all the time. There will be days when your motivation is low – expect it! Keep the reasons that you started on this journey top of mind. This is where your Journey Diary will come in use – go back to Day 1 and see how far you’ve come! 10. Get some help. That’s what your RESET team and we at USANA Corporate are here to offer. So if you have questions, if you want to share your feelings, celebrate success and even mark the bumps along the way, let us know. We’re committed to helping you achieve success at every stage. Keep track of your progress by using the Instagram hashtag #RESETNATION. The slogan will help you stay focused and let you to connect with other RESET users around the world. And be sure to spread the word to get your friends and teammates on board. 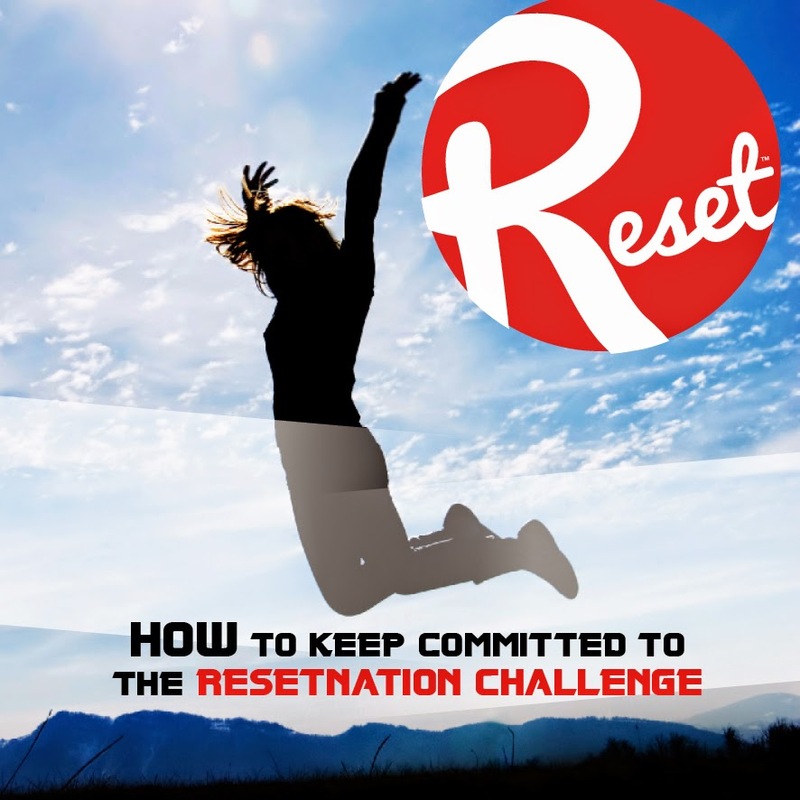 Get a RESET team together and sign up for the 2015 RESETNATION Challenge today! You could win yourself an amazing trip to Sanoviv, Mexico!